The concept of the multichannel call center is doing rounds in the industry since 1997. However, there are very few companies who have completely understood it and have employed correct practices for implementation. Actually, a multichannel customer center is indeed a servicing organization that addresses, receives or responds to customer queries or complaints through a variety of communication channels. Evaluation of the Channels to be Supported…. Increasing use of smartphones has given access to multiple channels ranging from text messages, emails, and phone calls to social media platforms and fax. However, owing to the rapidly evolving technical landscape, tech pundits believe that there are going to be additions to the list as a result of which the IT staff will be continuously assessing their resources. When it comes to choosing a channel for interactions, customers’ preferences keep changing according to the activity they are indulged in. For instance, an employee would like to register a complaint about a text message or email during office hours and the same person would prefer to connect with the customer centre through a phone call during break time or holidays. Therefore, contact centre authorities need to do a thorough study of customers’ requirements before devising strategies of including/introducing channels. Once a communication mode is selected, the other problem that arises is of recruiting the manpower and its proper management. Some companies believe that they should hire personnel possessing expertise over a single channel. This thought backfires when any of the channels goes extinct. Therefore, people with forte in all kinds of communication channels should be given preference. However, while accessing these channels, employees have to juggle between multiple screens which hamper the productivity to an extent. The managers can make the task easy by installing a Unified Communication Server. The platforms merge different channels, and hence, help agents attend and answer customers without much delay. Easy Switch between Multiple Channels: According to a survey conducted by a reputed magazine, around 72% of people confirmed that they will move to another service provider if they have to keep repeating their issues and problems. To avoid the disconnect between customers and agents, authorities should make a common platform wherein information of every interaction is stored. By doing so, authorities will be able to create an enhanced experience for their customers since users won’t have to share their concerns every time they initiate a conversation from a different channel. Calls Land on the Desired Extension: Apparently, customers find it frustrating to explain their issues multiple times to an agent. Some consumers feel connected with the service provider if their calls are routed to the relevant agent’s extension number. To suffice the requirement, authorities can program an intelligent routing table for ensuring that calls are routed properly. 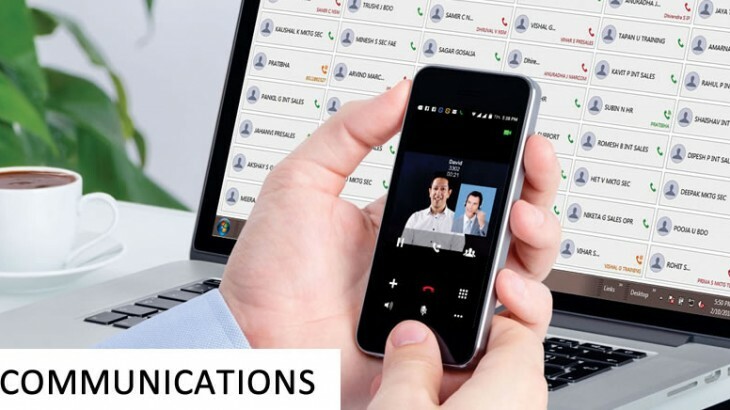 For example, when a call enters the communication infrastructure of the contact center, the Unified Communication server fetches data from customer’s previous interactions and according to number mapped in the table, a call is transferred to the concerned professional. The entire arrangement elevates the customer experience and reduces the burden of the operator. Personalization is going to Rule: During peak hours, when the queuing is inevitable, with personalized messages authorities can hold customer for a relatively long time. The contact center managers can keep the messages informative or promotional. It might happen that with information continuously on loop, the customer finds the solution to this problem without him speaking to the representative. Communication Consistency across Multiple Channels: Multichannel experience means that there are different ways to which customers can access the brand’s offerings. To ensure that consumers get uniform experience across all the modes, it is necessary that all agents adhere to the brand’s voice while addressing any customer’s queries. The challenges listed here are the most basic ones. With massive changes in technology, the authorities are going to have a hard time managing and employing gazillion channels in their contact center environment. Matrix Telecom UC Solution, Unified Communication, Unified Communication Server. permalink.